Law Firm Marketing | For Attorneys & Legal Practices Who Give a Damn. Law firm marketing, done right. We work with attorneys and law firms who want a better marketing experience. Yes, Let’s Grow My Law Firm! What makes Elite better than other law firm marketing agencies? Know exactly what you’re paying for, and exactly what we’re doing at all times. We’ll never leave you in the dark, or hide behind sales jargon. We will never work with multiple firms in the same area. As long as you’re with us, we’ll never work with your competitors, period. We’re veterans in both the internet marketing world, and the legal industry. You’ll quickly see why our clients dominate on the web. Customer service is extremely important to us. Work directly with an actual marketer, not a sales person. We’re here for your questions. We build brilliant websites that include all the modern day features you’ll need to impress and convert visitors into clients. Nobody looks on the second page of Google to find a law firm. We create proven search engine marketing campaigns that put our clients at the top of search engines. If you’re looking to make your phone ring now, pay-per-click and display advertising is your best bet. Paired with search engine optimization, you’ve got a recipe for success. We know how to get you covered in local & national media, and legal specific publications. We’re one of the few with real experience with legal PR. There are plenty of SEO and web design agencies, but very few that really know legal marketing. That’s where we come in. We’re a full service attorney web design and internet marketing agency that solely works with law firms. We staff some of the brightest minds in the business, and it shows. Unlike other legal marketing firms, we're a small operation that offers our clients the service and attention they deserve. When you work with Elite, you'll never have to deal with complicated phone systems, ill-trained account managers, or annoying sales jargon. We believe in transparency, results, and a superior product you'll be proud of. When working with Elite, you'll never have to worry about different levels of service, silly upcharges, or bait-and-switch schemes. Every part of your website, marketing campaign, and deliverables will receive the best quality service and deliverables available. Simply put, if it's not something our clients will be proud of, we're not doing it. Our reputation is everything to us. 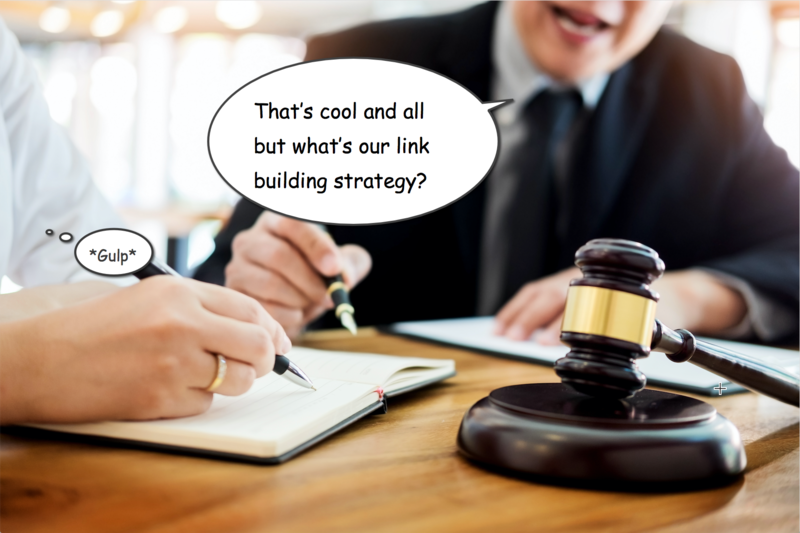 There’s so much that goes into a successful Legal SEO campaign from a technical perspective; a highly targeted sound strategy based on firm goals, meticulous on-page SEO, high quality links going to your website (sorry for that, no more SEO jargon, deal?). While we excel in those areas, that’s not what truly separates our lawyer SEO services, or our web design. Our competitive drive and the gratification that comes from seeing our clients be successful. Our clients’ success keeps us up at night, it frequently inspires 3AM skype sessions internally... in short we are relentless in doing whatever it takes to get the law firms who hire us great results. In an industry full of hyper-competitive, highly ambitious law firms and lawyers all clamoring for visibility online, you need a SEO company that will tirelessly labor to give you an edge in your market. That company is Elite Legal Marketing. Elite Legal Marketing is proudly a Google Partner. We’ve been certified in both search and display advertising. See how Elite has helped our existing clients dominate their market areas. 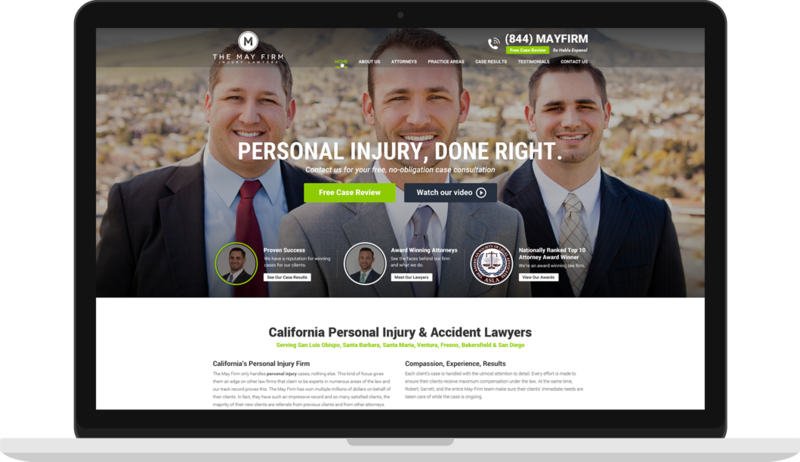 This California personal injury law firm is dominating in 7 different cities throughout the state, thanks to Elite Legal Marketing. We know there's no shortage of law firm marketing agencies around. We designed Elite Legal Marketing to be a better experience for attorneys who take their marketing seriously, eliminating the annoying problems that lawyers commonly experience while working with other agencies. Here are 3 things, that we believe, set us apart from the other lawyer marketing firms out there. Our clients are never locked into lengthy contracts. Why? Because we do great work, and our clients stick around. It's as simple as that. What is your marketing company really doing for you? Most can't answer that question. Here at Elite, you'll get a monthly report with deliverables and progress. If you have a question, we'll answer it, in a way you can actually understand. It may sound cheesy, but we take a lot of pride in the product we put out. We receive a lot of referrals from clients who are thrilled with the work we've done for them. That's extremely important to us. If we take the project, it will be brilliant. Case Study: Who’s The Best Legal SEO Firm?